Body Graphic Dakota 12" X 120"
Kids Inheritance 5" X 24"
Happy Camper 5" X 24"
It's your RV, so you should check out our selection of RV decals to make it look like your RV. We have colourful stickers with excellent slogans such as "I take my toys everywhere", "Just leave me a message after the beep. 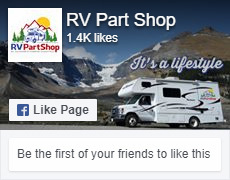 . . BEEEEEEP", "I love my RV" as well as beautiful graphics like mountain scene murals, water scene murals and stylish striping for your tow rig.